A Paramedic is a professional who helps the doctors in specialized areas and facilitates for better diagnosis, treatment and therapy. The increase in number of patients, variety of diseases and the demand for immense treatment have paved the way for paramedical professionals who are expert technicians or therapists providing better quality to human health care. Paramedics are the key players in the Health & Medical Sector. Without paramedics, the entire health industry may become almost non-functionary. The course duration of B.Sc. 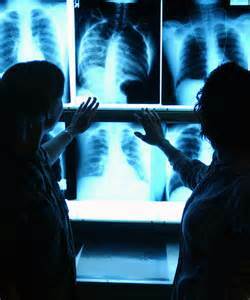 in radiology and imaging technology (RIT) is 3 years from the date of commencement of term notified by the university. The programme is divided into theory and clinical blocks. Besides the infrastructure and the Faculty, the well equipped laboratories and clinics of various departments of the University viz Faculty of Medical Sciences support various academic and research activities. There is regular mode of teaching and supplemented by an intensive and rigorous practical training that equips the students with knowledge of the latest techniques and trends so that on completion they can emerge as fully trained and thorough professionals.